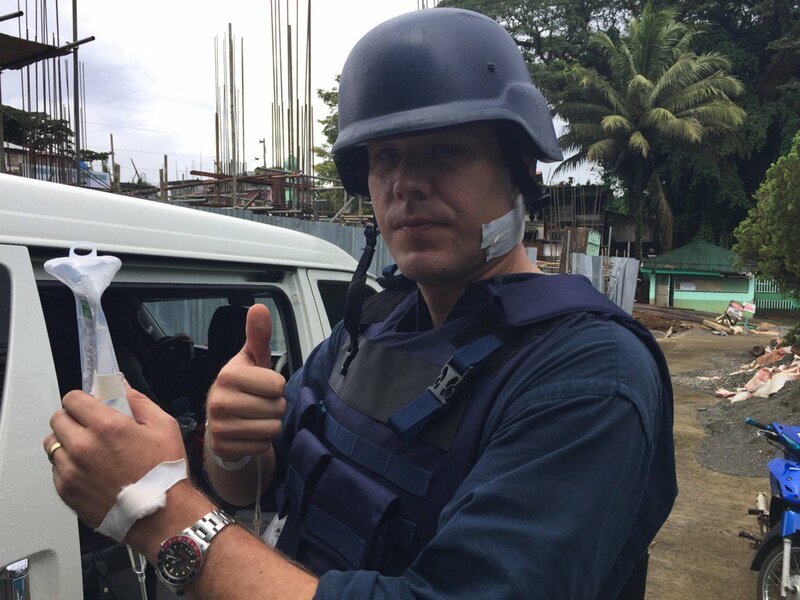 Australian journalist Adam Harvey has been hit by a stray bullet in his neck while covering the situation in Marawi City Thursday. Harvey, who is the Indonesia correspondent for Australian Broadcasting Corporation, said he was lucky not to have sustained any serious injury, tweeting "I'm okay. Bullet is still in my neck, but it missed everything important." As reported by CNN Philippines, Harvey was immediately brought to the Amai Pakpak Medical Center where he received medical treatment. Presidential Spokesperson Ernesto Abella in a press briefing Thursday afternoon said that journalists covering the Marawi crisis "should try to be as objective as possible" and "stay out of trouble." "I think they should try to be objective as possible. And to see it in the context that this is really a... That this is basically an action of rebellion. And that they see it along that line, they report along these lines, that they are objective. Stay out of trouble," he said. In a separate statement released following his press briefing, Abella said that journalist should "take the necessary precautions and stay safe while covering conflicts." Harvey is among the international journalists covering the Marawi crisis down south, which began on May 23 after terrorists from the Maute group attacked parts of the city.